So you’re playing around with your new LG G Flex and admiring its curves —Maybe you’re browsing online for G Flex accessories to protect your big investment. Then you stumble across an image that you just gotta have. We have put together a tutorial about taking a screenshot with the LG G Flex just right for the occasion. Although the directions below are specific to the GL G Flex phone, they may still apply to other Android phones including those made by Samsung, Google, Huawei, Xiaomi, etc. Once you decide on an image, it’s time to capture it. For web photos, the simplest way is to just tap and hold the image to bring up a menu that will save the image right away. Sometimes, though, you might run across an image you can’t save or you may want to take an image of your actual phone screen. As with devices such as the iPhone, iPad or Samsung Galaxy line, the move requires pressing two buttons. In the case of the aforementioned devices, you use the power and home buttons. 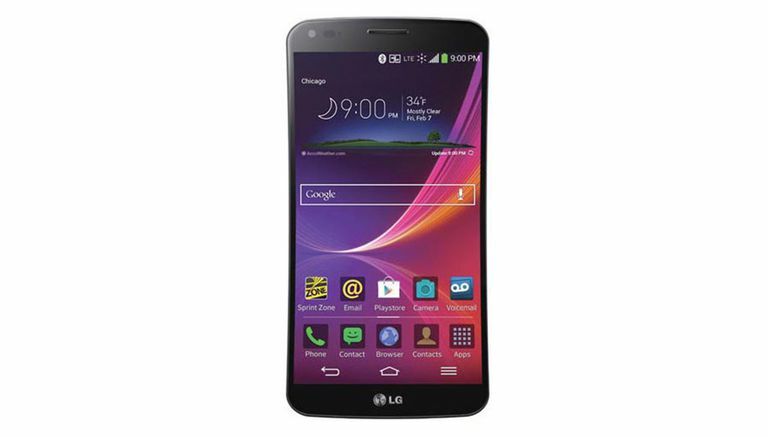 The LG G Flex, however, has two key differences. One is that it doesn’t have a physical home button. Another is that the power button is actually on the back. The good news is that taking a screenshot is still pretty simple. All you need to do is press the power button and the volume down button at the same time. You can do so with two fingers, though you also can strategically press between both buttons if you prefer to use just one finger. If you do it right, you’ll hear a snapping sound effect and visual cue that the screenshot was taken. But wait, in some cases, you might realize the picture doesn’t look quite right and now you want to crop it. Read on for the next step. To crop an image, photo or screenshot with your LG G Flex, tap on it to bring up the photo menu. Click on the upper pencil icon just to the left of the camera icon. This will bring up the Choose an action box. Click on the Photo Studio app and you’ll notice a bunch of new icons below. On the rightmost menu you’ll see the crop tool icon (it’s the small box with overlapping lines). Tap that to bring out another row of adjustment and image editing tools, including red eye removal, a “Face Glow” tool, as well as straightening, rotation, flipping, and sharpening tool. For cropping, you’ll want the very first one that says "Crop.” This will bring up a cropping box that you can adjust. Swiping within the box moves the entire square, while pulling on the handles resizes the crop box. Once the photo is cropped the right way, tap on the crop icon to crop the photo. Your cropped photo will now be saved in one of your image folders. In our case, the photo was saved in the Screenshots folder because that’s where the source image came from. You can move the photo to any image album in your LG G Flex, however, by tapping and holding on its thumbnail from the Screenshots folder to bring out a menu with the Move command. From the same menu, you also can delete photos or set images as a contact photo or wallpaper for your home screen or lock screen.